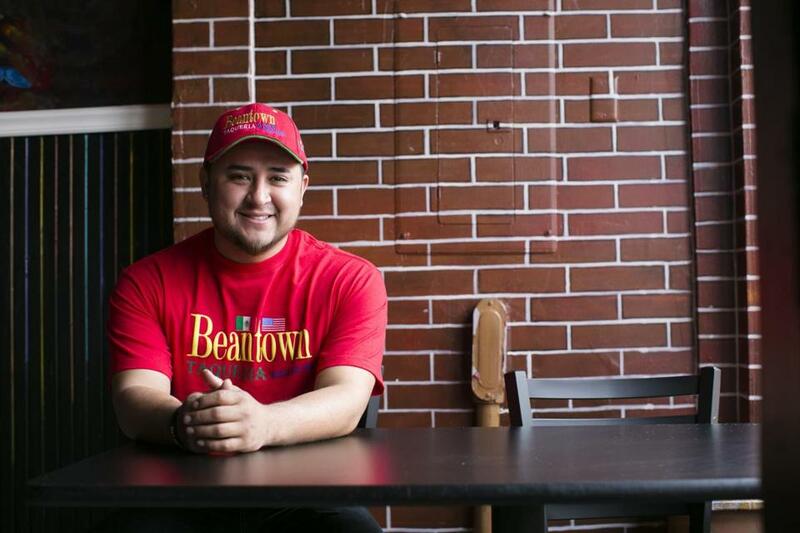 Co-owner Hugo Mendez at Beantown Taqueria. Skip the carnitas but try the tamales. We’ll be returning to try the chilaquiles. Order a creamy, cool horchata to sip on the patio as you wait for your plate of carnitas. The combo is hard to beat. Live mariachi is the draw here on Saturday afternoons. Sip a margarita, or pop into the attached grocery store for pan dulce. A neighborhood staple, this taco joint seems like it’s always bustling with a young crowd. The carnitas, which may satisfy fans of juicy pulled pork, come with pickled cabbage. Caters to a working-class clientele and has been going through a bit of an identity crisis. Try the carne asada tacos. Low lighting and red-and-black decor give this place a Gothic ambience. Wash back the salty carnitas, served on flour tortillas, with a margarita. 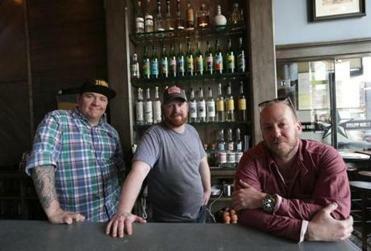 From left: David Cagle (general manager and partner), Rian Wyllie (chef, partner), and Aaron Sanders (co-owner) at Lone Star Taco Bar in Allston. A chill place with a long bar and small tables. Order the carnitas and a side of lightly peppered chips. The tacos are close to perfect. A little takeout spot featuring tacos and tortas with a Baja flare. When you’re done, cross the street to the full restaurant Ole Mexican Grill and order churros. Mom-and-pop feel with good Mexican food standards like menudo. Space is small, and often busy so be prepared to wait. If you get the carnitas, it’ll be worth it.